Pineapple! : Pineapple is my all time favourite fruit. If i'm able to i will eat every morning for breakfast, though i'm trying to stop cos' i bet the acidity is ruining my teeth. But anyways, i just absolutely love this fruit. It's juicy and tasty and just pure yum! Even though they are a bit more expensive than just buying an actual pineapple, this pot from Sainsburys is just so handy! 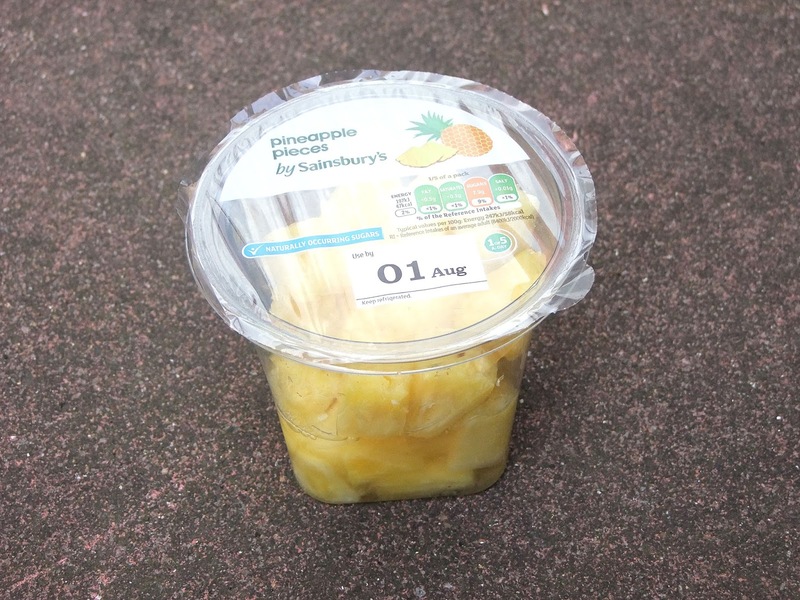 I prefer the Sainsburys pot to the Tescos pot as i just find the pineapple that bit more succulent from Sainsburys. 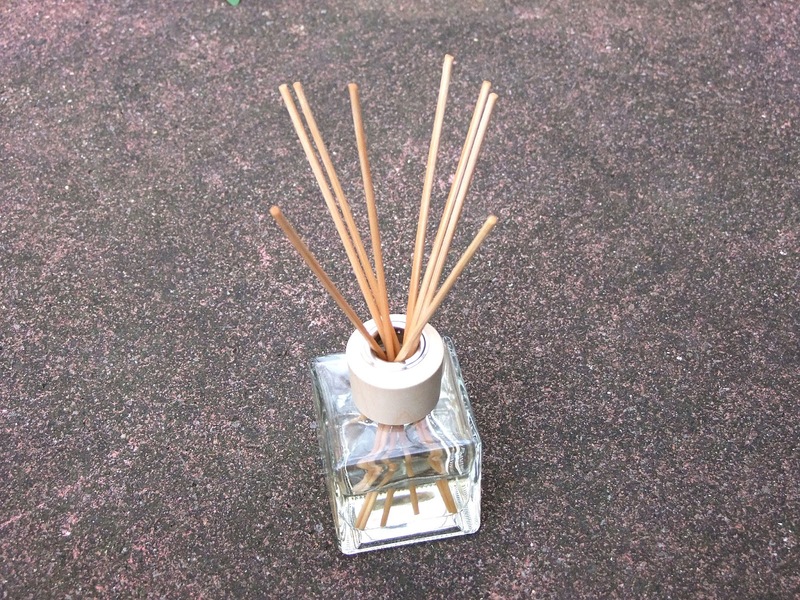 Primark Pineapple and Ginger Diffuser: This is just incredible! As you can see from the favourite right above this, i love pineapple. The scent of this is just beautiful and smells just like a Pina Colada! My parents really love this scent too and we have them in majority of the rooms in our house, either in this scent or the Vanilla one Primark also does! The diffuser is so inexpensive and i think it is around £3, which is an absolute bargain! The smell really infuses the room and gives the room a really sweet smell. They also do this scent in candle form at Primark for around the same price, so if diffusers aren't your thing, maybe try the candle. 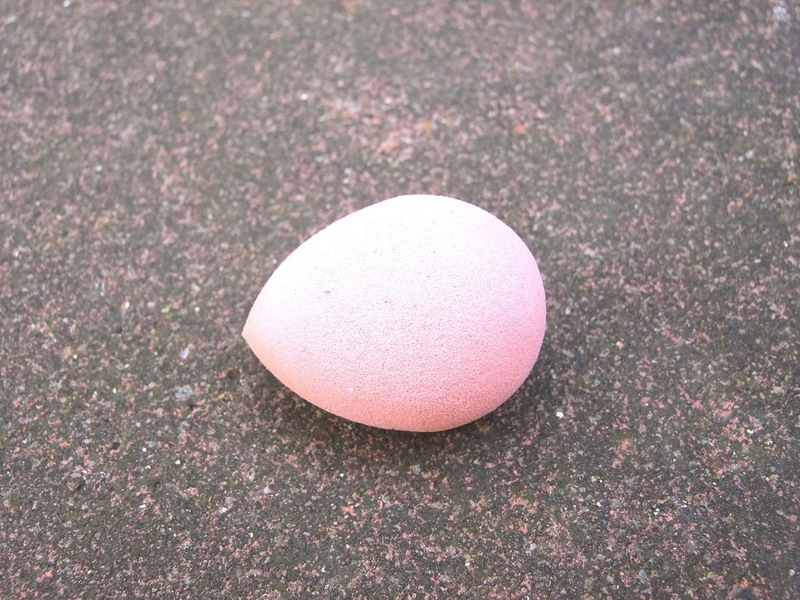 Primark Beauty Blender: This is a really great alternative to the actual beauty blender. This was only £1.50 which is just amazeballs! I really like it and i find that it really does help my makeup look better once i've used it to help blend in, especially with my concealer. Due to the shape of it, the pointy bit is really great for getting right into the corner of your eye which is exactly what i wanted. 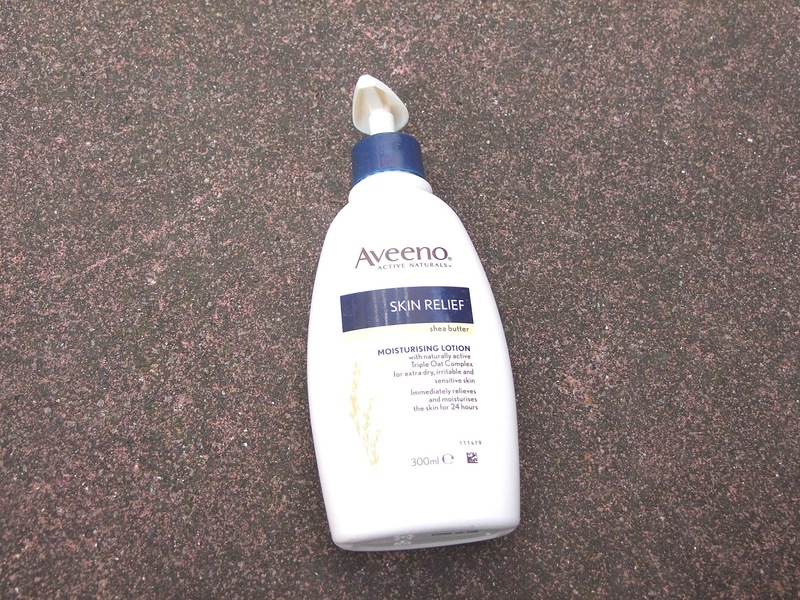 Aveeno Moisturing Lotion: Due to my sensitive skin, my friend recommended this to me. It's made out of oats and natural ingredients and is specifically for skin that gets irritated and is sensitive. I started using this about 4-6 weeks ago and i love it. There is definitely a difference in my skin since i started using it. I have quite soft skin already due to my Ehlers Danlos, but this has just made my face just super soft! I'm not 100% certain on the formula though as after using it (i only use one squirt) it leaves my skin, not feeling greasy, but like there is a moisturiser on my face, which there is obviously, but even hours later. I think this is quite good though, because although it is annoying, it does exactly what it says on the bottle, and that is that is leaves the skin moisturised for 24 hours. The only thing i'm not to keen on is the smell. It's not heavily fragranced or anything, but it just isn't the nicest of smells. But if you can get past that, it's an amazing product! On the Aveeno website, they have a whole range of products for all over your body. 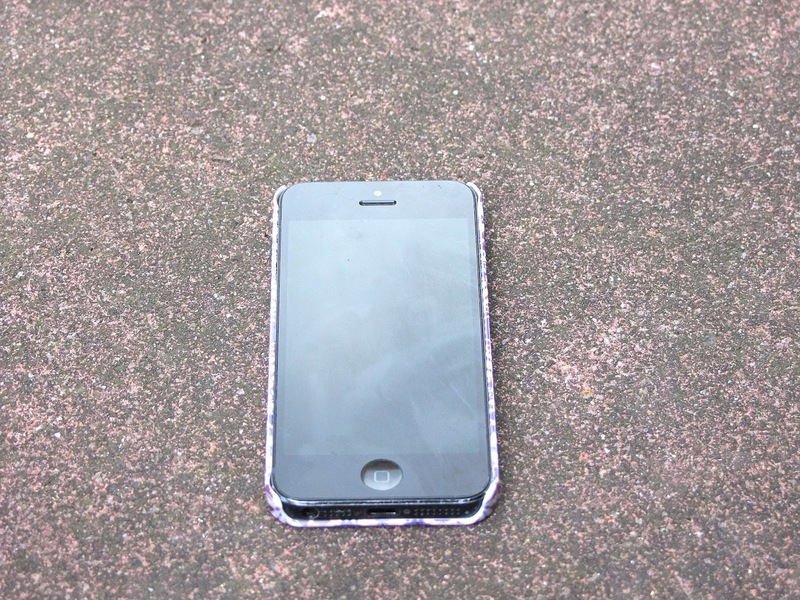 iPhone 5: This may seem like a weird favourite, but in the middle of July, i accidentally dropped my phone, face down in the kitchen and it completely died. Not only was the screen cracked, but internally it had decided to die. Randomly the flash light came on and then it started vibrating all on it's own for ages. Me and my mum got rid of it, and then kindly she went halves with me on buying a new phone. I traded my iPhone 5c 8GB in to the CEX shop in March for an iPhone 5 32GB as it was impossible to do much on my phone as there was just no storage. So if i'd of rung my insurance company they'd of sent me the phone i traded in because i hadn't got my insurance on the phone i got. So yeah, me and my mum spent about £100 each and i got more or less exactly the same phone as i had before. I'd lost all my photos unfortunately as i hadn't backed up the cloud. Now i have a brand new phone, which you wouldn't even know was second-hand. Love it! You don't realise how hard it is to go without a phone for a couple days, until you have to. Trust me, it's harder than you think! 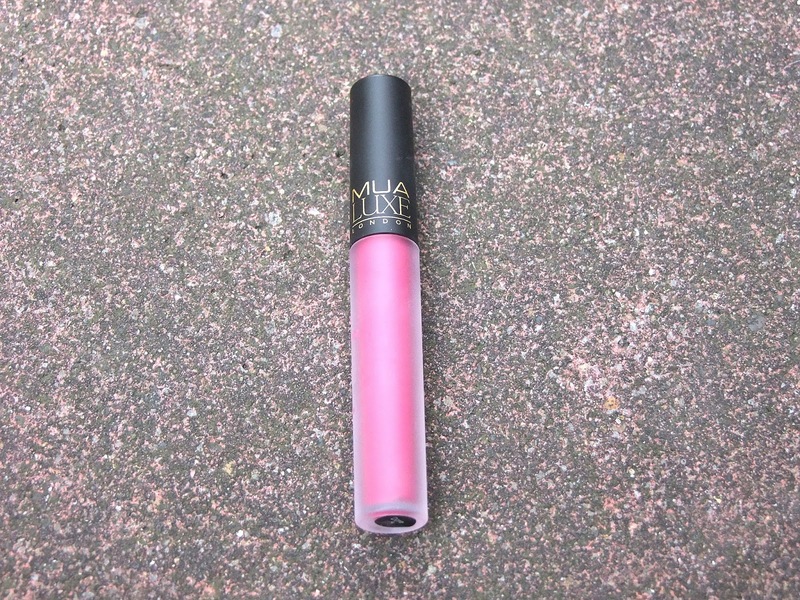 MUA Luxe Velvet Lip Lacquer in Dare: I literally bought this a few days before the end of July and i fell in love! This Lip Lacquer is just incredible! It acts a lot like a lip stain, but i love it! The colour is a lovely pink shade, which is a bit darker than you'd think it is when looking at it from the outside. It's just so pigmented, and it doesn't feel like you're wearing anything on your lips once it's dried after a couple of seconds! It is just stunning. I have a very unsteady hand so i managed to get this everywhere and luckily with a baby wipe it came off quite quickly in the places it wasn't meant to be, such as on my nose. 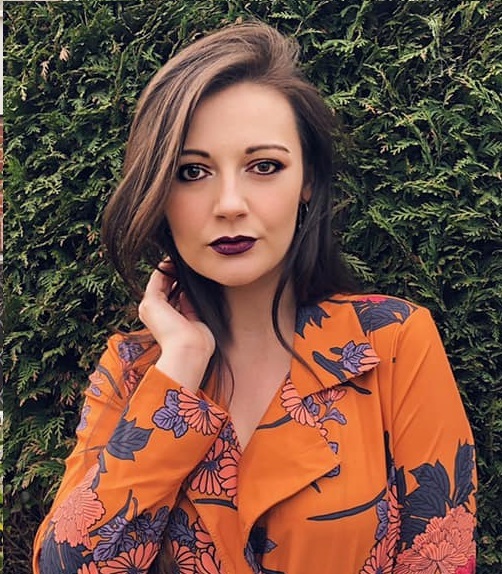 You have to remember to top it up though because obviously you from where you're talking the lip lacquer on the inner bit of your lips wears off quicker than on the outer bit. I love this so much that i'm actually going to go into Superdrug and get some more of this mua lip lacquer collection. 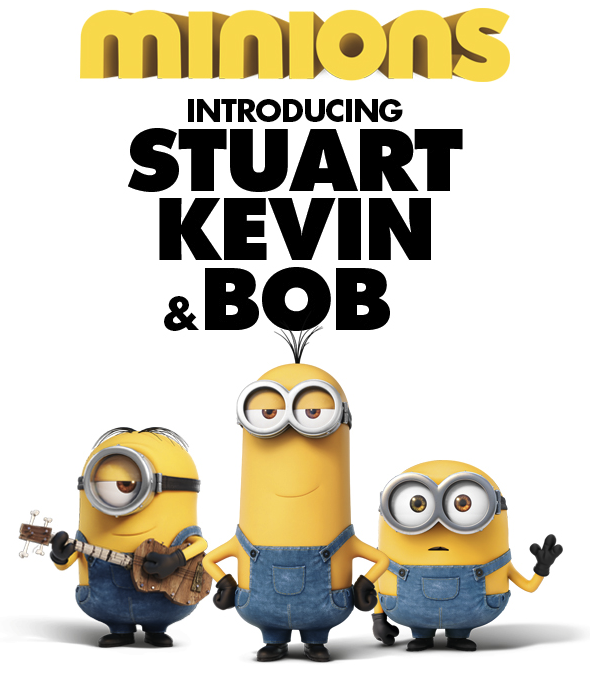 The Minion Movie: If you haven't seen this already, get yourself to the cinema and see this! If you like minions you will find this hilarious! I went with my mum and dad and we laughed SO hard! If you didn't know already, i'm minion obsessed! If i see anything on with minions, whehter it be pyjamas or stickers, i will most likely buy it. At the cinema i went to, by the drinks & popcorn bit, there was a minion coin purse and i had to have it! See, obsessed! Anyways, the movie is fantastic and i think it really does appeal to all age. I'm 21 and loved it, and my parents are in their 50's and 60's and they loved it just as much as me. GO AND SEE IT! You won't regret it! 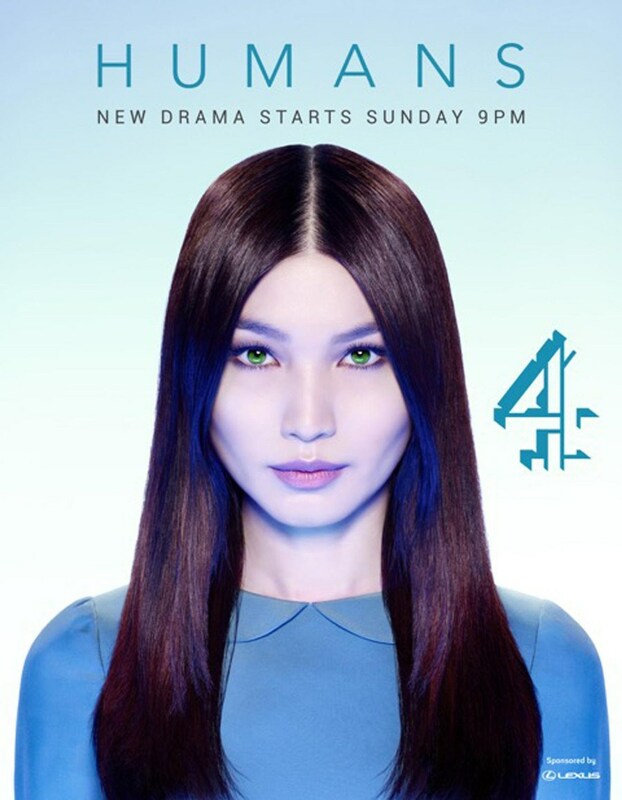 Humans: This is my favourite TV series at the moment. It's on channel 4, and i'm pretty sure when this post goes live the season will have finished, but i'm sure it's on 4OD. This is the most interesting TV programme i've watched in a while! If you don't know what it's about, it's about these synthetic human robots who come and do all the tedious jobs you don't want to do, such as cooking, cleaning, gardening etc. Some are more human than others though, and have feelings and emotions. It is so good, i definitely would recommend you go and watch it if you haven't already! So these are my monthly favourites! I feel like this post was a bit long-winded but i just have so much to say on these things! What are your monthly favourites? Do we have any in common?